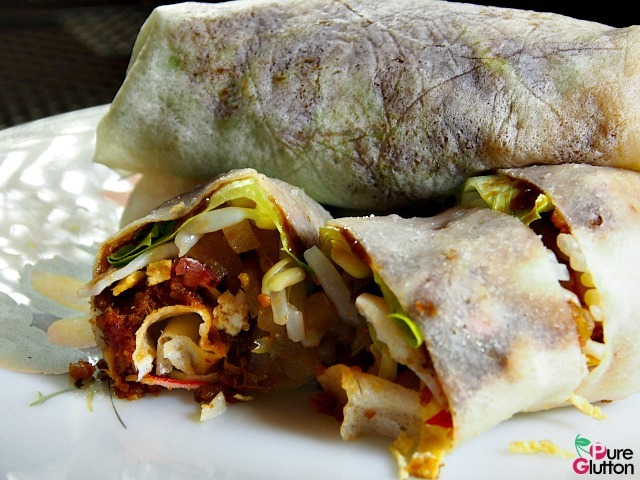 Have a Popiah Party at home! 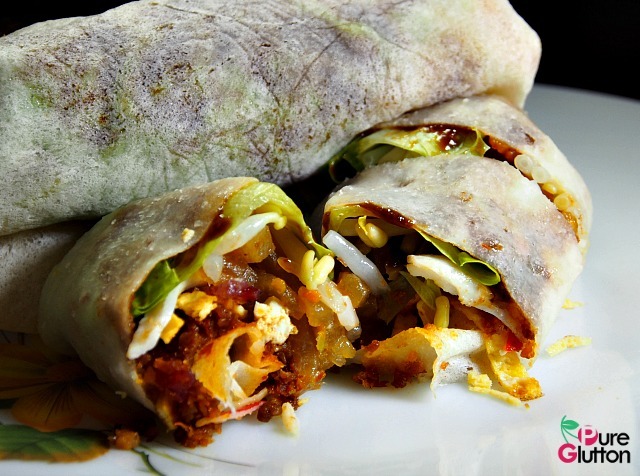 Popiah is such a Malaysian thing that not many people know that it actually originates from China. Some say it’s from the Fuchien province while some claim it’s from the Teochew (Chaozhou) side. From China, its popularity has spread to the rest of Asia, so that’s why popiah nowadays is found not only in Malaysia but also in Thailand, Taiwan, Singapore, the Philippines, Vietnam and Myanmar. Of course there are various interpretations of this springroll in the various countries and are called by many different names. 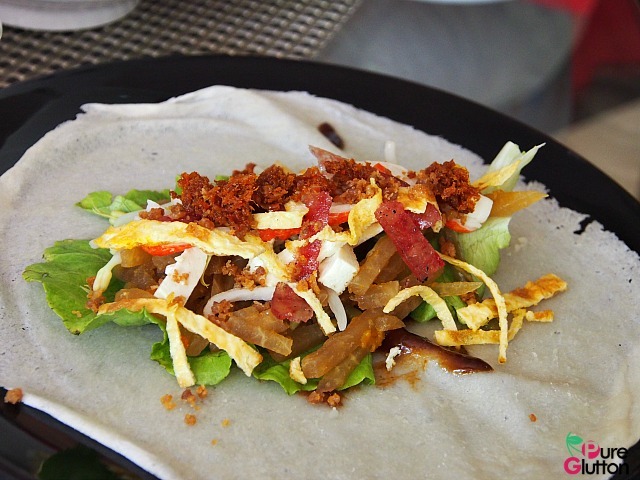 The popiah wrapper is a thin soft crepe or pancake made from a mixture of wheat and tapioca flour. A wet dough is formed using the two types of flour. A thin layer of the wet dough is then “rubbed” onto a hot plate in circular motions forming a thin round crepe. It takes just a couple of minutes to cook a piece and care must be taken not to overcook it thus rendering it hard and inflexible. Popiah is widely sold in many kopitiams and hawker centres here. There is not much difference between popiahs sold in the north (like Penang or Ipoh) and those sold in the Klang Valley or Johor. The ingredients used as filling for the popiah vary and it’s really dependent on the fancy and creativity of the seller. 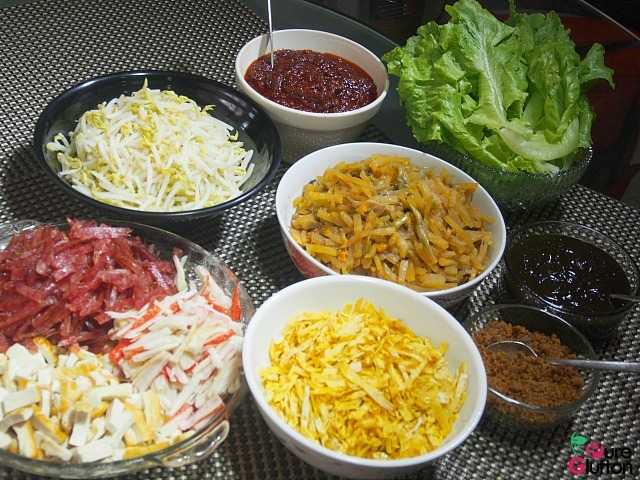 Typically, ingredients used as fillings for popiahs are cooked yambeans (jicama), carrots, french beans, beansprouts, beancurd, eggs, Chinese sausages and lettuce leaves. 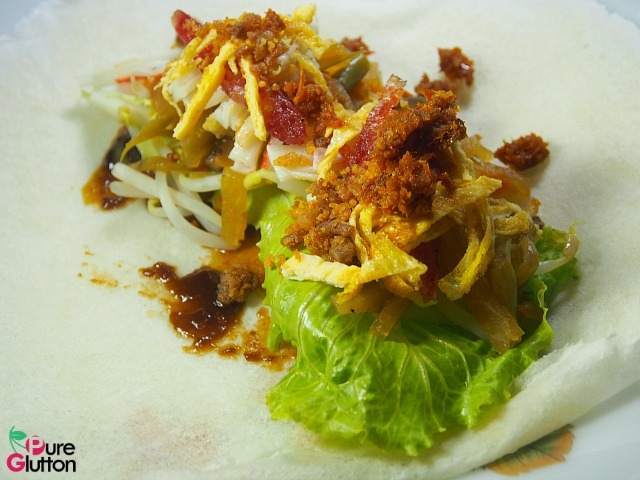 Sauces used to smear the popiah wrappers are usually a sweet sauce made from bean paste and chilli sauce for some heat. 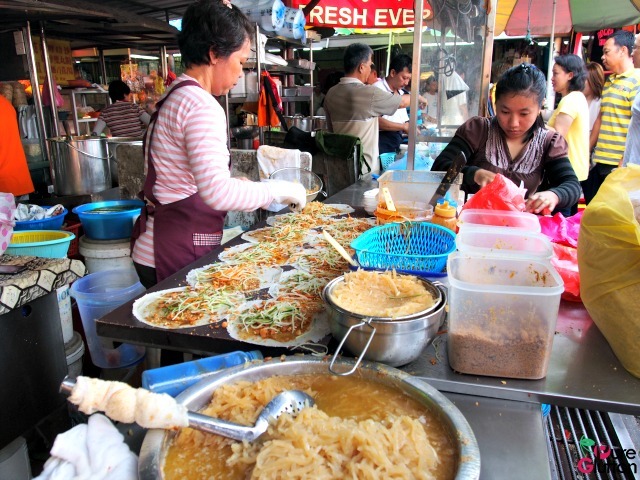 For added crunch, some popiah sellers include fried cruellers and chopped peanuts. 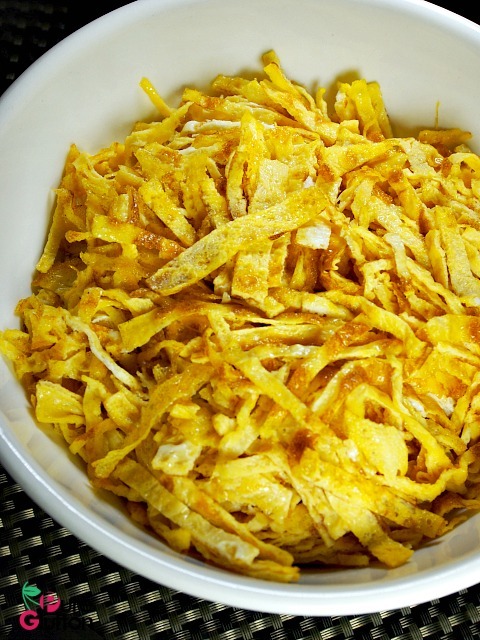 To enhance the flavours, fried shallots and garlic are sprinkled on the filling before rolling up the popiah. Making your own popiah at home is not difficult and can be so much fun, especially with friends and family around. 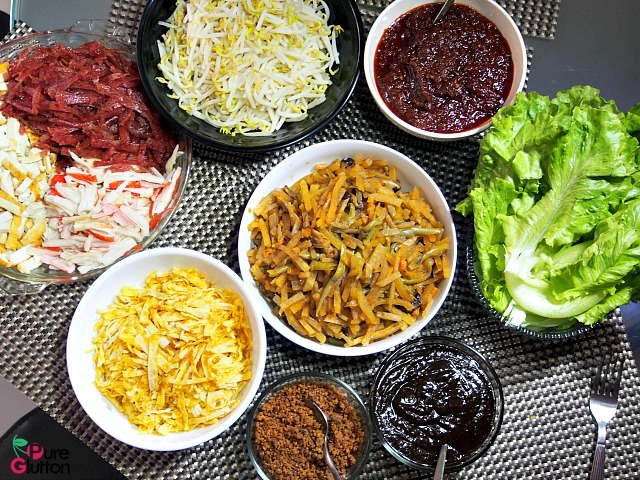 The next time you have a house party, why not serve popiah? Forget about making the popiah “skin” (crepe) – they are available in most local wet markets and are sold by weight. Prepare and cook the fillings and leave it to your guests to roll and wrap their own popiahs. 1. Heat up the cooking oil in a deep pan for 2-3 minutes. Stir fry the chopped garlic. 2. 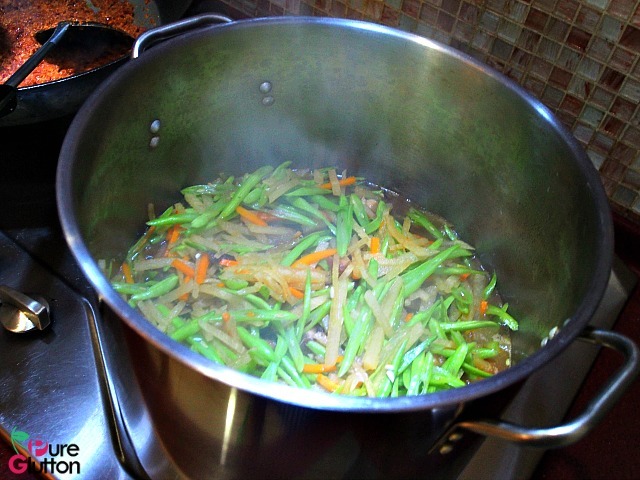 Add in the yam beans, carrots, French beans and mushrooms; stir fry for another 3 minutes. 3. Pour in the water and seasonings. 4. Cover pan and cook for about 20 minutes till the vegetables are soft. 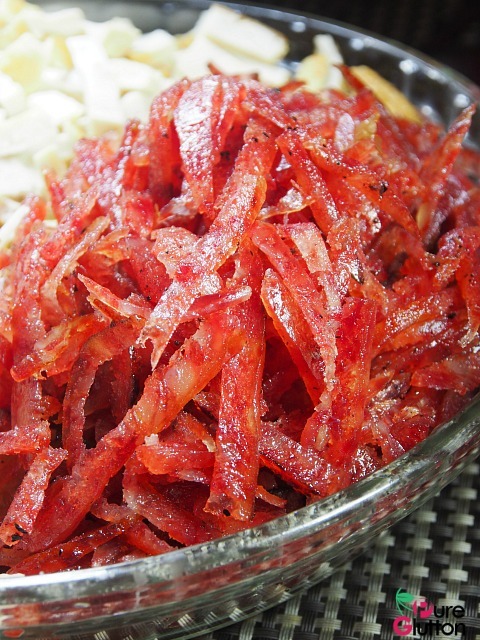 Instead of using bottled chilli sauce, I usually cook a special “Haebee” (dried shrimps) sambal. 1. Heat up the cooking oil in a wok. 2. Add in the blended dried chillie, blended shallots and dried shrimps. Stir-fry for about 5 minutes. 3. 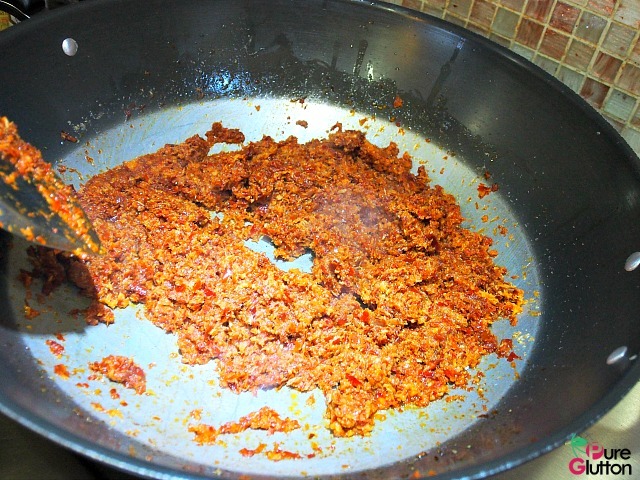 Add in the water and sufficient salt and sugar according to your taste and continue stir frying till the sambal is dry. 1. Smear some sweet beanpaste sauce onto a popiah skin. 2. Place a piece of lettuce leaf on the skin and place some blanched beansprouts on top. 3. Scoop 2-3 tbsp of the cooked jicama combo and arrange on top of the beansprouts. 4. Spread some egg omelette, tofu, Chinese sausage, crabsticks, haebee sambal, deep fried shallots and garlic on top of the beansprouts. 5. Carefully flip over the right and left sides of the popiah skin and start rolling up the popiah, pressing gently and tightening the filling as you roll up. If you like my post and site, please show some love on my Facebook Page by liking it – thank you! 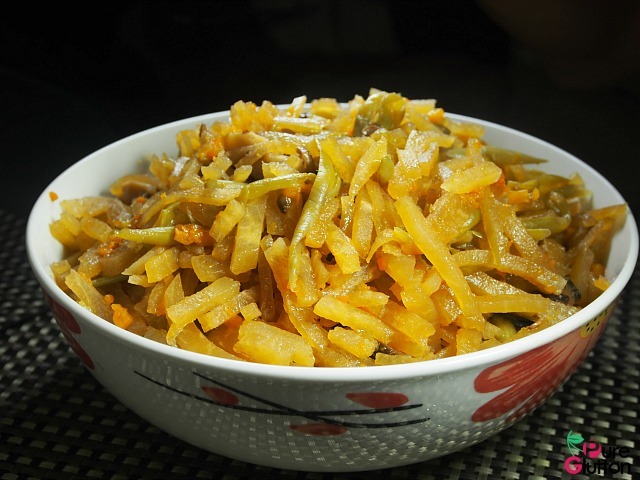 This post was first published in HungryGoWhere Malaysia on 16 May 2014. Been doing this for the past 4 years and have had excellent feedback from party guests. 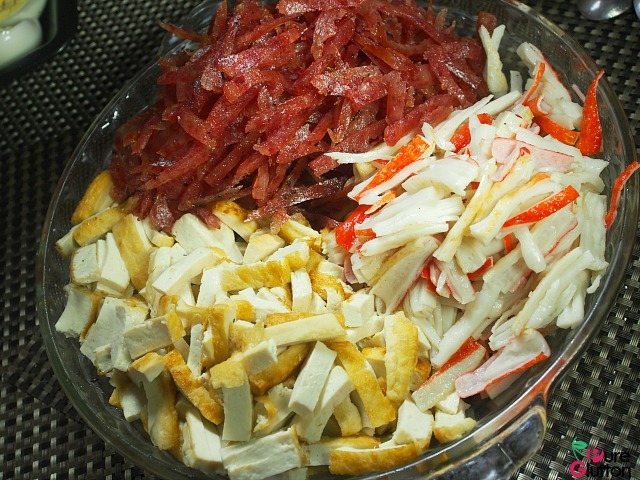 Include things like Cha Siew, Roast Pork, or even shredded roast duck. Go with roast duck for the famous Peking Roast Duck style.